In a past Sweet 7 post, I simply mentioned how to "Buy or Sell Trinidad Carnival Costumes." ... And when a friend asked whether I knew anyone selling TRIBE costumes, I came across these tips from The Carnival Deck. How to BUY a last minute Carnival Costume from a Registered Masquerader (RMasq). I have been involved with Carnival Bands as a masquerader and as a temp-worker for the last few years, and have a decent amount of experience in brokering Costume Sales, Purchasing and Trades during that time. 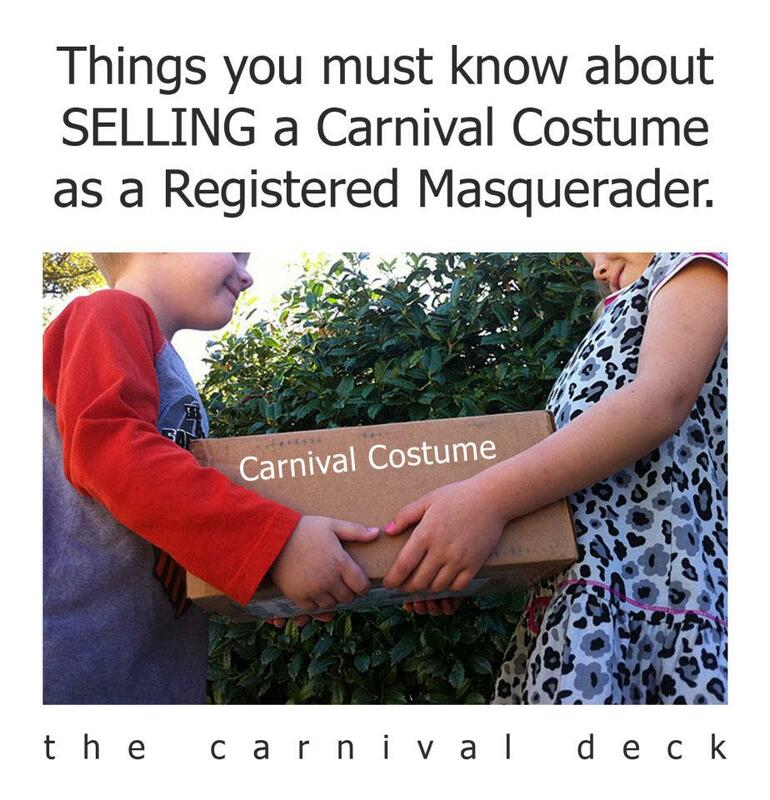 Here are some of things you must know about BUYING a costume from a Registered Masquerader (RMasq). Firstly, you must know what your measurements are. Most of the major Carnival Bands do NOT allow alterations/exchanges of Costume pieces (Bras, Waist/Hip Bands and Bottom pieces). You must know the prices of these costumes and know how much you are willing to pay for them. Reason being, there are RMasq who cannot afford or unable to play Mas and just want their money back, that is the Deposit/Down-payment (that being said, it is also good to know what the Deposit/Down-payment is for each band) and, there are RMasq’s that are looking to make a profit, aka Costume Scalpers. 1. RMasq/Seller MUST provide you, the BUYER, with a LETTER OF AUTHORIZATION - This Letter must indicate that the RMasq/Seller sold you the costume and ‘authorizes’ you to collect the costume. 2. Along with this Letter of Authorization, the RMasq/Seller must also provide you with a copy of a Photo Identification (preferably Driver License, Passport or National ID), to verify the transaction. Please ensure that the signatures on the Letter correspond with the one on the Photo ID. 3. Also, the RMasq/Seller must provide you with the Costume Receipt/Registration Card or a copy – which indicated the RMasq’s Name & Contact Details, Costume Registration Number, Costume Details and Payment information. 4. Another thing that you can ask the RMasq/Seller, is to email the Carnival Band, informing them of the transaction, CC’ing you the email as well. Important! 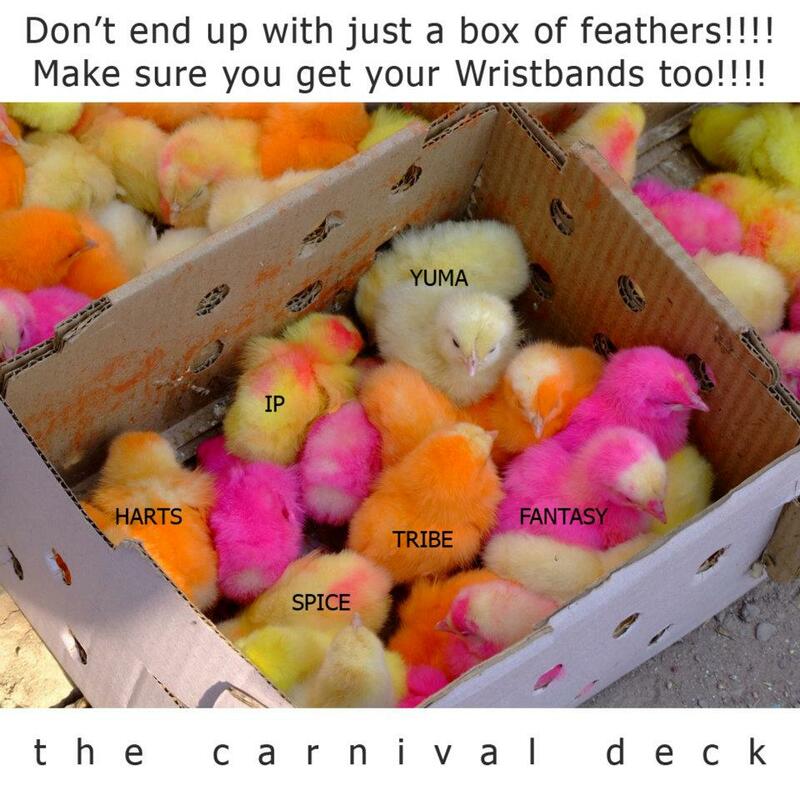 If you are purchasing a costume that has already been collected, please ensure you receive ALL relevant items, ESPECIALLY the WRISTBANDS which is the ONLY way to identify that you are an actual Masquerader on Carnival Monday and Tuesday. CAUTION! There is the possibility of FRAUD when purchasing a costume from someone. In order to conduct a safe transaction, it is best that you follow the above instructions. If you become a victim to Fraud, you can always contact the Fraud Squad, a Division of the Police Services, at 868-625-2310. Once you have proof of the transaction along with the RMasq/Seller’s Letter of Authorization and Identification, you will have a valid case. WHERE CAN I FIND COSTUMES FOR SALE?? ?